Thanks to the availability of gluten-free corn tortillas, it's so easy to enjoy this international foodie favorite. Gluten-free corn tortillas, whether homemade or store-bought, are the foundation of any delicious taco and the sky's the limit when it comes to filling options. Check out our collection of taco and tortilla recipes and change them up. Make your tacos with chicken, turkey, beef, fish, veggies or whatever! Like pizza, tacos are meant to be personalized. Add a side of delicious homemade guacamole, pico de gallo, or fresh tomato salsa for a special taco. 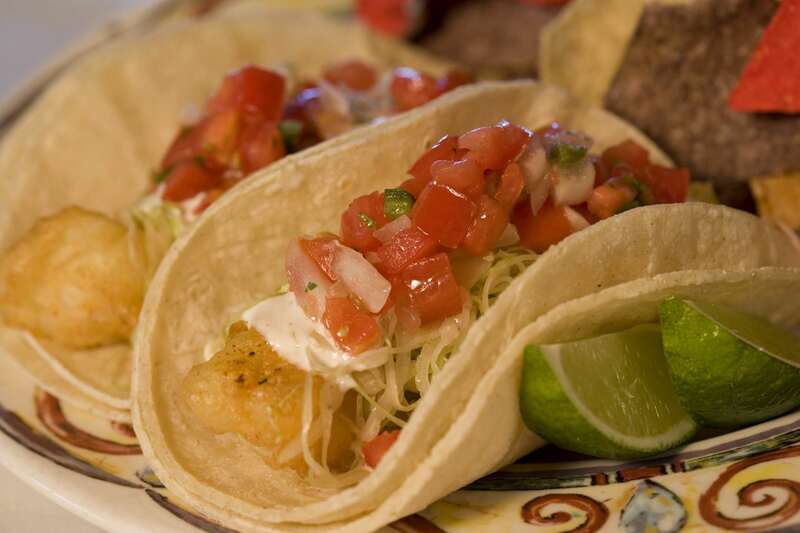 Fish tacos are popular from South America to Alaska. Seasoned coleslaw with minced jalapenos and fusion mayo add flavor and crunch to this, my favorite taco recipe. Cooking ho-hum ground turkey with chiles, garlic, and cumin and then hitting it with fresh lime juice and chopped cilantro makes a fabulous filling for easy at-home tacos. A simple taco sold on the streets in Mexico by vendors. These make a great dinner or an after-school snack. And rolled tacos are easily dipped in your favorite sauce or salsa. Shredded baby spinach, red onions, and avocado add vitamins, minerals, healthy fatty acids add vibrant color to this healthy version of a classic favorite. Packaged seasoning mixes can contain wheat as a thickener, so read labels carefully when buying this type of product. It's easy to make your own gluten-free taco seasoning mix at home with gluten-free spices and herbs. Double or triple the recipe and store the mixture in a spice jar and you'll have delicious taco seasoning when you need it. Tacos are best enjoyed with delicious, healthy add-ons like creamy rich homemade guacamole and bursting with flavor homemade pico de gallo salsa. Both are classic taco condiments, are naturally gluten-free and easy to make at home. These are a big hit at fiestas, and they also make a great afternoon snack. This recipe for homemade gluten-free tomato salsa is mild on the "heat meter" making it a good, all-purpose salsa to serve with tacos or tortilla chips. After making this recipe you'll wonder why you ever bought commercial salsas at the grocery.